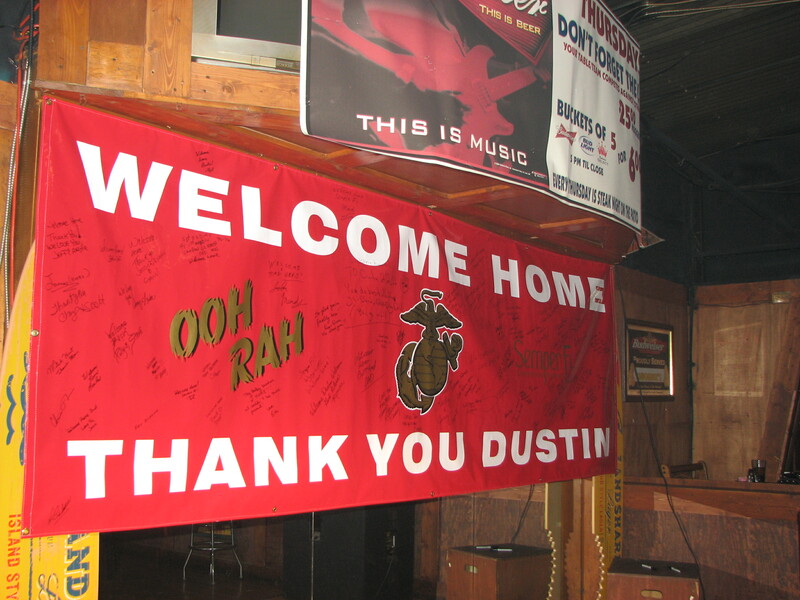 When their backs were turned, looking at all the signatures on the banner, Dustin came out from the back of the bar and up to the stage, where they turned around, stunned, grabbing him into hugs. The bar was full of family and friends — and even a TV crew — and everyone applauded and hooted and hollered and whistled. Buckets of beer and shots of all types were ordered all around. 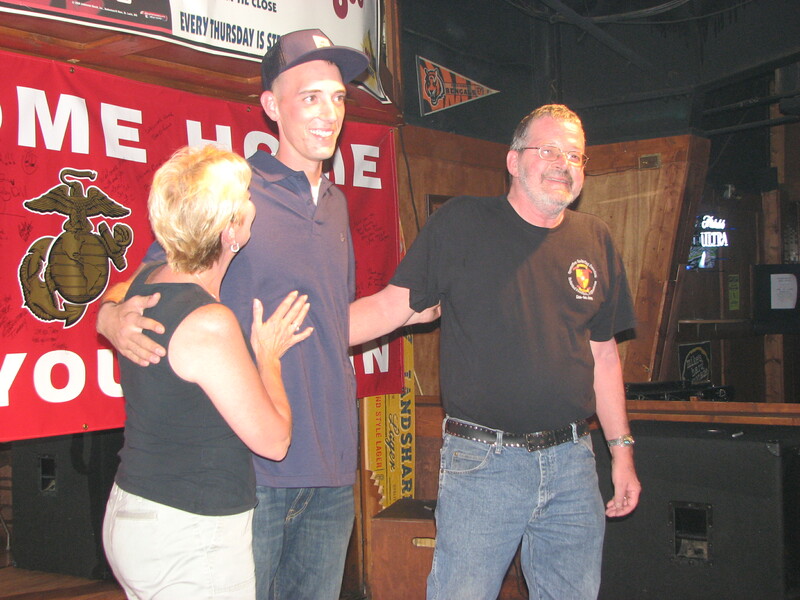 It was a homecoming befitting a Marine with a family that parties as hard as it loves. His last homecoming was more subdued. 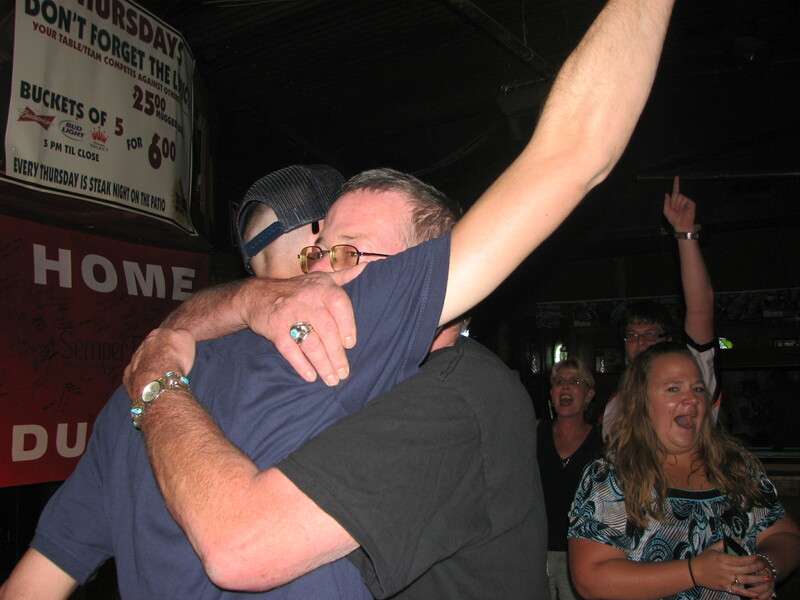 When Dustin came home in 2009, my dad was still recuperating from a heart attack. I remember Dustin calling that night and us rushing the cell phone to my dad’s room in the intensive care unit — ban on cell phones be damned. 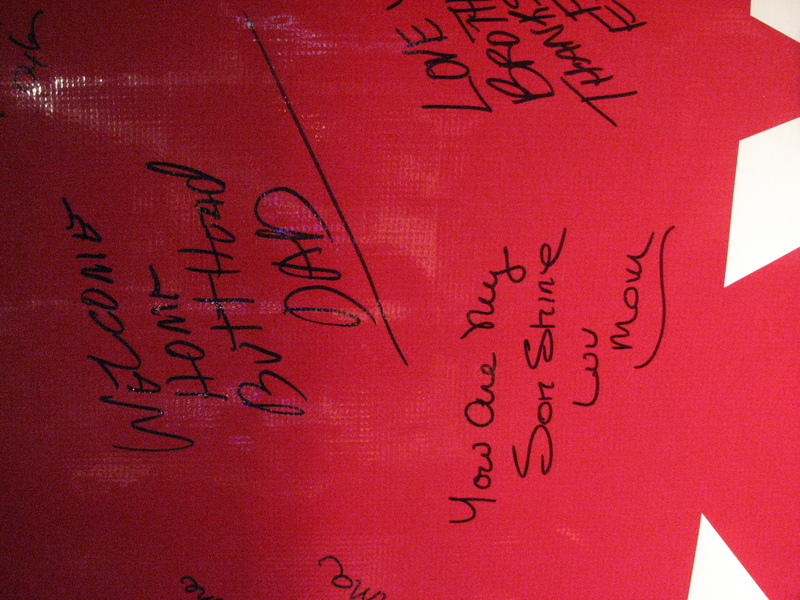 We had thought that Dustin was going to have to be flown home early because my dad wasn’t going to make it. My sister even got in touch with the Marine Corps, laying the groundwork for him to come home. Thankfully, my dad pulled through, and this time around my family wanted to do it up right. My stepmom, Dana, put the plans in place for the big surprise, and no one let the news slip early — a surprise in and of itself. Though the night will likely only be remembered by a few dozen people, it will forever be a happy and important part of my family’s history. 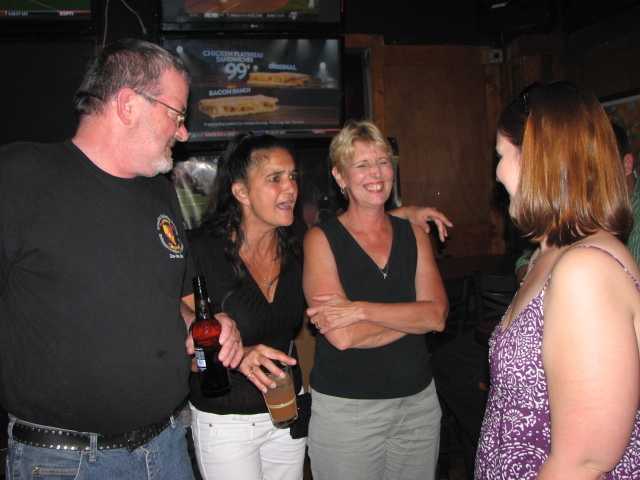 Dana (left) and my cousin, Beth, talk to my mom, who is still in shock. 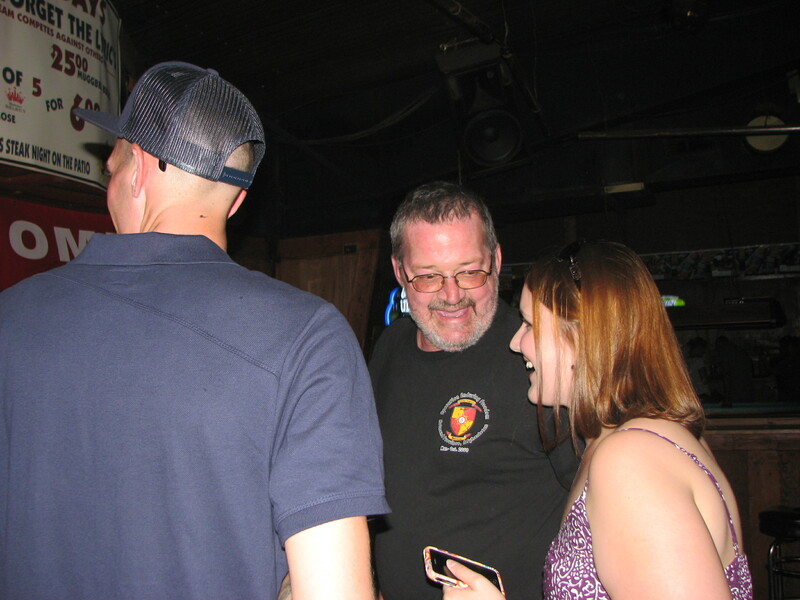 My sister, Jessi, comes on stage with Dustin and my dad. My mom gets interviewed after the big surprise. They pose for photos up on stage. My dad goes before the camera. 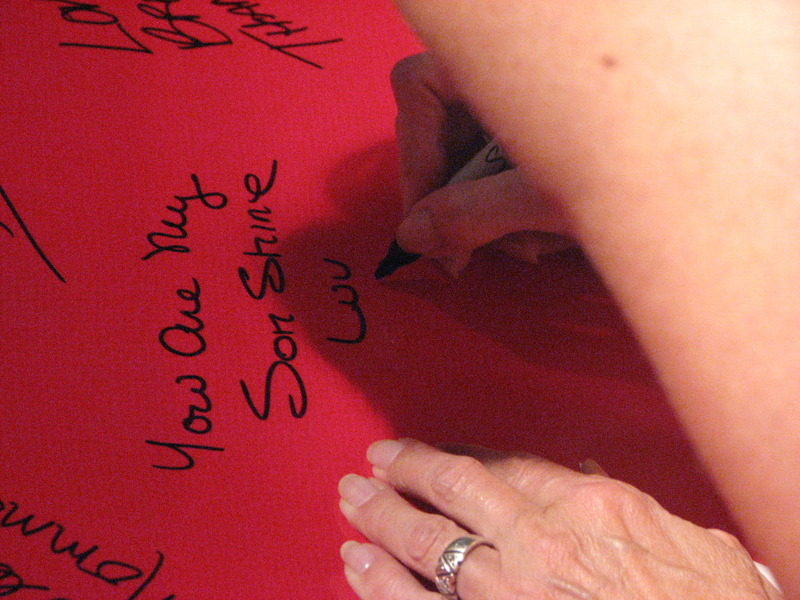 My mom signs the banner. My dad has a certain pet name for my brother. 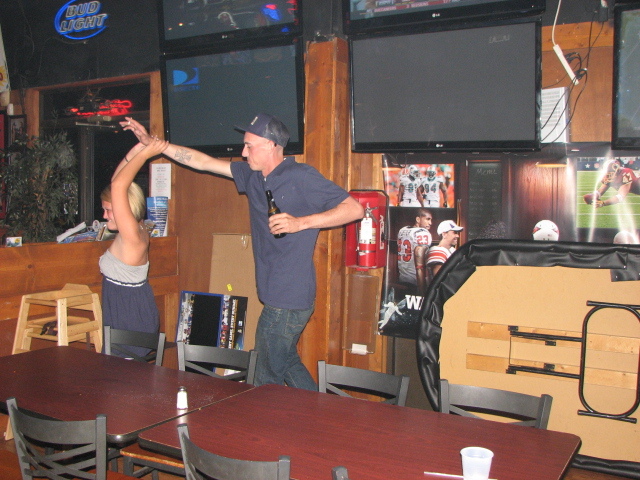 My stepsister, Nicole, gets Dustin up for dancing. Everyone chats after the fact. 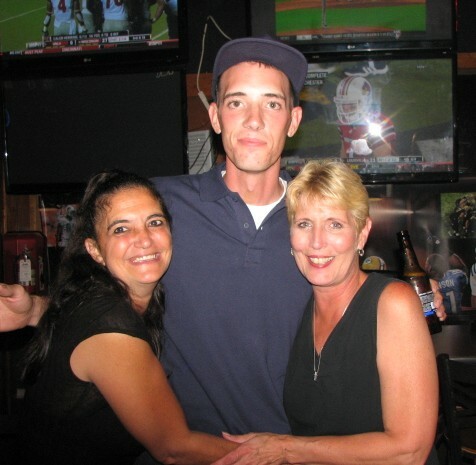 My mom and stepmom hug the returning Marine.